The British Overseas Territories of Saint Helena, Ascension Island and Tristan da Cunha annually celebrate Saint Helena Day. This holiday celebrates the discovery of Saint Helena. The island of Saint Helena was discovered by the Portuguese navigator João da Nova on May 21, 1502. Since May 21 is the feast day of Saint Helena in the Orthodox Anglican and Lutheran Churches, her name was chosen as a name for a new island. Saint Helena was a very important figure in the history of Christianity and mother of the emperor Constantine the Great. She supported the spreading of Christianity, construction of two churches in Bethlehem and on the Mont of Olives in Jerusalem. She also discovered several relics, which are now in Cyprus. Among the items are a part of Jesus Christ's tunic, pieces of ropes used to tie Jesus to the cross and pieces of the holy cross. Saint Helena Day is an official holiday only on the island of Saint Helena. 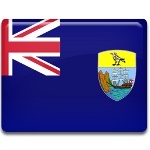 Te islands of Ascension and Tristan da Cunha celebrate the Christian holiday Ascension Day, as the anniversary of discovery of Ascension island in 1503.